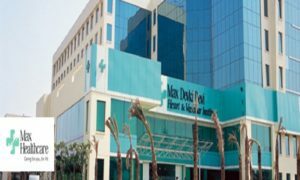 Life Healthcare, a South Africa based hospital group, has sold its entire 49.7 percent stake in Max Health to Radiant Hospital for $293 million. Backed by private equity player KKR, Radiant will buy more than 266 million shares in Max Healthcare. The company will initially use the net disposal proceeds to settle debt as well as to invest in growth opportunities in its core markets, the group said in a statement. Max Healthcare runs Max Hospitals, the countrys third-largest such chain with a capacity of 2,500 beds at 14 facilities. In 2012, Life Healthcare had acquired 26 percent stake in Max for Rs 516 crore. Subsequently, the company increased its investment by investing an additional amount of Rs 716 crore. Both, Life Healthcare and Max India own 49.7 percent of Max Healthcare, a subsidiary of Max India. The promoters, Singhs family, own 40.97% of the listed Max India, which also houses the Max Bupa healthcare insurance joint venture and Antara, a senior-living platform. 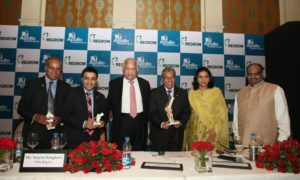 With this acquisition, Radiant will be in the league of likes of Apollo Hospital and IHHFortis.